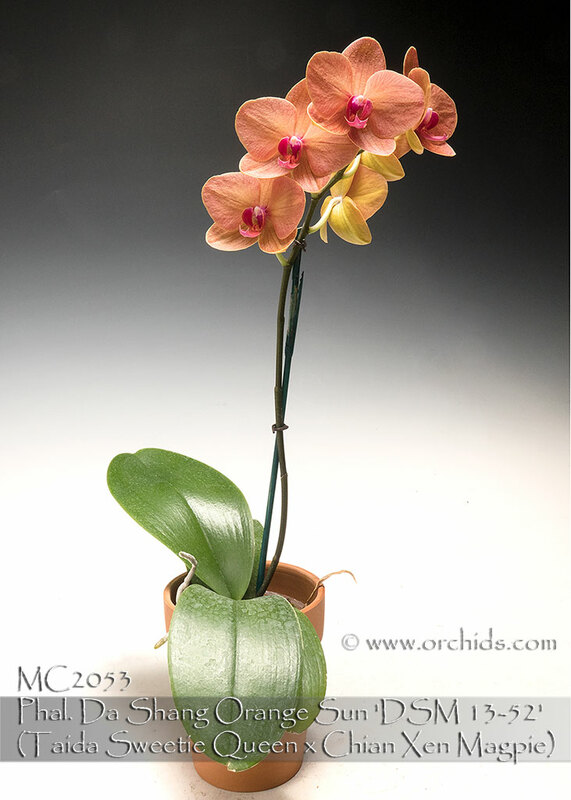 An arresting and cutting-edge sunset/art shade Phalaenopsis bearing large strikingly full flat flowers! 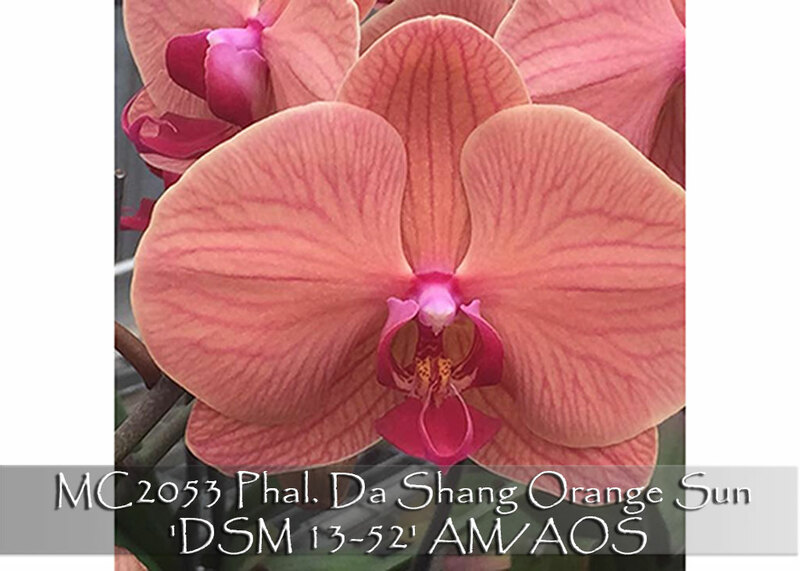 Recently recognized at the Taiwan International Orchid Show with an AM/AOS from the American Orchid Society, it was a stunner bearing 25 rich peach-orange flowers and buds on two branched and gracefully cascading inflorescences. A great advance in this line of breeding, this clone displays its flowers to perfection, allowing each flower to be seen and enjoyed to its fullest. Accented with a rich magenta lip, its column encircled in magenta, the subtle contrast of colors is simply eye-catching. Highly Recommended !